I only just found this negative. I was sure it was lost, but it was hidden in with photos from another project. 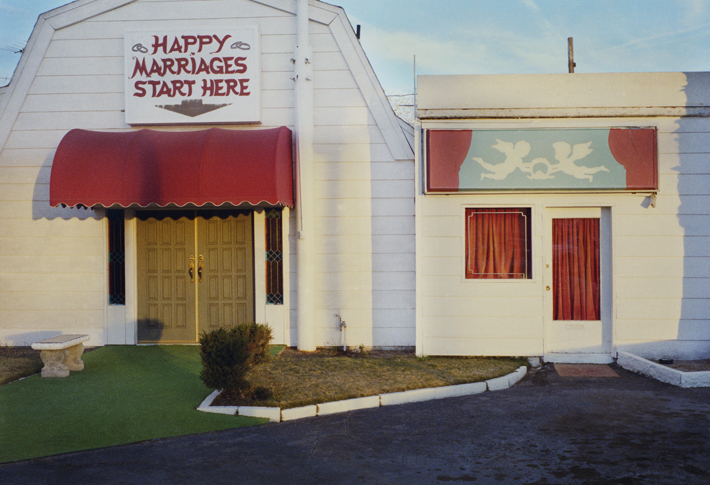 “Happy Marriages” was shot in Las Vegas in 1988 for a paper promo designed by Taylor Browning. Sadly, our dear friend Scott Taylor passed away the following year of lung cancer. This was a photo donated to an auction to raise money for cancer research. It was purchased by Beverly who owned Brown’s Bistro at the time and it hung on the wall of her restaurant for as long as I can remember. She had paid $2,500.00 for the print back then to give to this research. Scott was one of her best clients, he was responsible for some of Canada’s best graphic designers working today. Never forgotten. Thanks for your friendship, Scott.